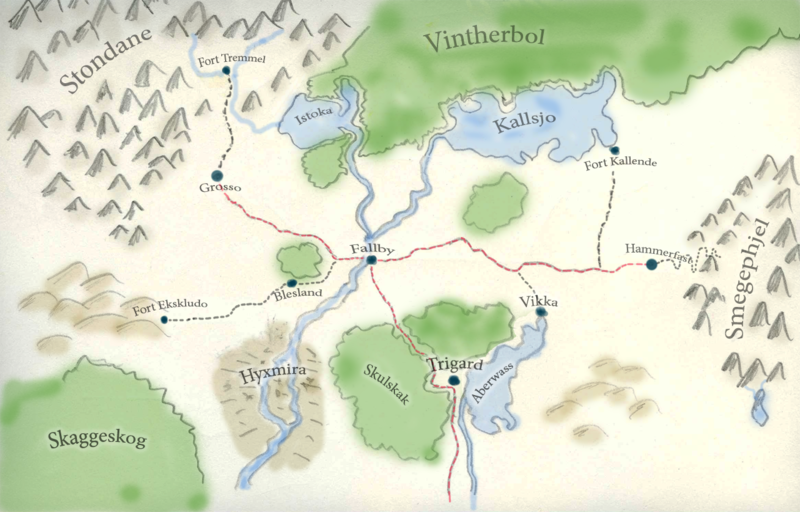 Kallmark, a harsh land with long, cold winters and short, cool summers. Mostly stubborn humans and easygoing dwarves inhabit the settlements, with the occasional tiefling and stray hobbit. Kallmark is not the place to live if your hobbies are heraldry and celebrity spotting. On the other hand, if you don’t mind subsisting on taiga onions, lichen and those tiny, rock-hard ‘taters. And you know your way around in a blizzard, then Kallmark will probably suffice. I drew this map for a D&D 4e campaign I ran some years back.